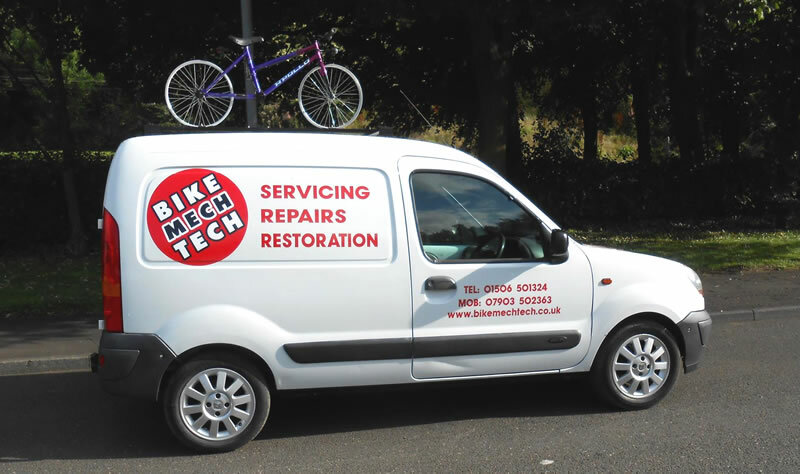 BikeMechTech has made further investment in the purchase of a van. After taking a little time to modify the van to be able to easily and safely carry bikes of all sizes, everything is ready to go. A new free collection and drop off service are now available to customers in the “local” area. 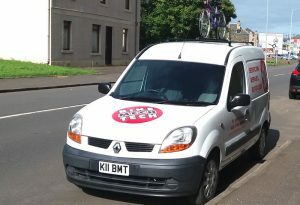 If you are in the Falkirk or West Lothian and can’t easily drop your bike off, BikeMechTech will collect, repair and return it in perfect working order. Just give Jim a call! Now that the van is fully kitted out it can also be utilized for breakdown recovery if you are unfortunate and breakdown whilst out on a run. All you have to do is add 0790 3502363 to your mobile phone contacts and give us a call! 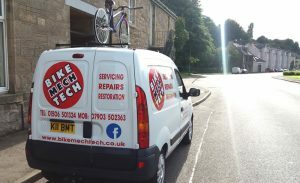 BikeMechTech will pick you and your bike up, run you home and fix your bike up to get you back on the road with the minimum of fuss.